Our answer is no. Broadcast television and radio are and can still be part of a successful marketing campaign mix, depending on campaign objectives and who you are trying to reach with your message. Not everything. While digital marketing statistics continue to trend upward, television continues to stand the test of time and prove its resilience in a digital era, with its massive reach (it’s estimated that TV reaches around 70% of a country’s population PER day) and consistent use amongst consumers. And while streaming TV, shows and movies is actually a form of digital advertising, let’s be reminded that in 2016, U.S. TV ad revenue reached an estimated $72 billion because of the Summer Olympics and U.S. presidential election. Even in 2017, it’s reported that the average American watches at least 5 hours of live TV per day. However, it’s no secret that because the average consumer is harder to reach than ever before, advertisers are challenged to stay up on marketing trends to ensure they’re capturing their target audience. For example, while adults 25+ are still consuming large amounts of broadcast television, teenagers and young adults are a different story. This is why Philosophy works extensively with our clients to understand their campaign objectives, and in turn, help them understand their target audiences and how those audiences prefer to receive information, to ensure we cast the widest net possible. Despite digital streaming and satellite radio trends, like broadcast television, radio is another form of traditional advertising that continues to rise above the fray—and is still used because of the types of people that listen to radio, its accessibility and the fact that it’s local. Radio ads, like television ads, can be measured based on frequency of ad distribution, whether the ad is broadcast over the airwaves and/or ran on the radio’s website, and sometimes, if listeners take an action based on the ad (e.g. they click on the digital ad on the radio website; they use an exclusive coupon code when calling in to make a purchase). Like television, radio isn’t dead—but how consumers are accessing it (whether digital streaming, satellite or broadcast) is constantly evolving, and that’s something advertisers need to keep up with. Also like broadcast television, younger generations who grew up in the digital era are more likely to take advantage of digital streaming and satellite services, versus broadcast radio—which drives home the importance of understanding campaign objectives and target audiences. Philosophy is an agency grounded in research. We understand that marketing campaign trends are constantly evolving—we compare it to nailing Jell-O to the wall—and we come equipped with experts to stay on top of those trends. 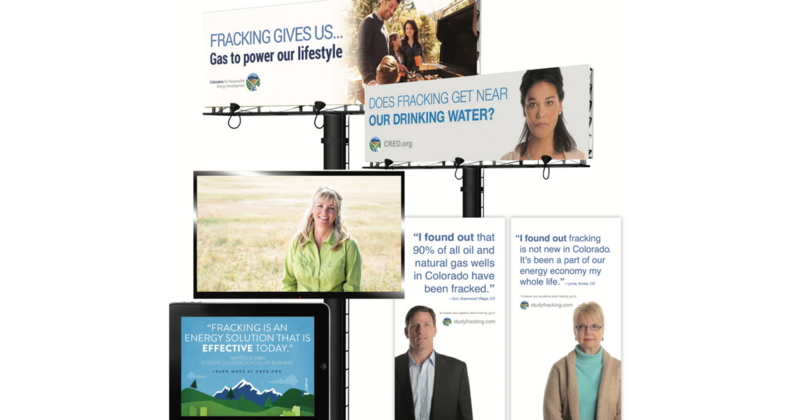 Additionally, a dynamic marketing plan can include a variety of tactics and it’s our job to help our clients determine what tactics align with their campaign objectives, budget and target audiences. Maybe digital marketing and traditional radio/broadcast ads are the way to go. It all depends on who you want to reach and what you want them to do upon hearing your message. A good rule of thumb is: older audiences tend to resonate more with radio and TV ads, while younger audiences (e.g. millennials) tend to spend more time on devices and computers–making digital ads more effective. At some point, it may be wise to experiment with both options to see what is most effective. You may think that’s not budget conscious, but it will pay off when you understand where your audience is on-and-offline, and where they are most engaged. Only then, can you introduce your brand to them in a way that is effective, builds trust, and inspires them to take the next step with your business. You wouldn’t want to miss out on the opportunity to reach people where they already are—and that’s where we come in. 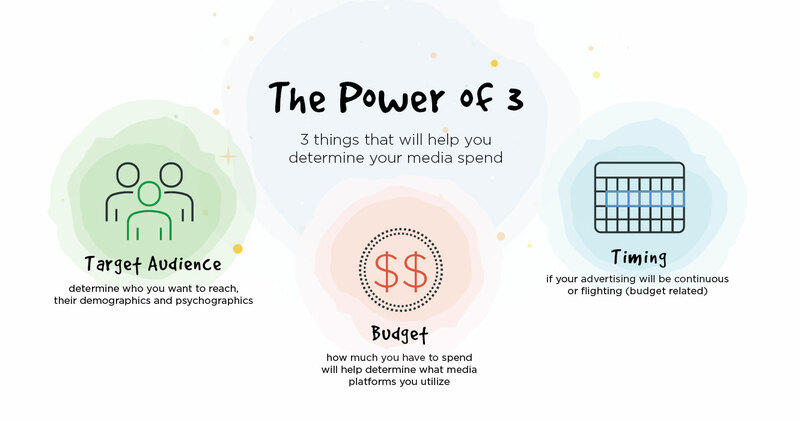 To get started on whether you should invest in TV or radio or digital platforms, consider the Power of Three!